Pre-order the ‘City of Bones’ Collector’s Edition! This edition of City of Bones features an exclusive poster and new scene, a brilliant new cover, a map of New York City, a new foreword, and a bonus story. Click here to pre-order the Collector’s Edition of City of Bones! 30 Comments on Pre-order the ‘City of Bones’ Collector’s Edition! The B&N link doesn’t work. It gives me a 404 Error. Actually, it doesn’t work on Chrome for me. Works on Safari! It’s really irritating when she does this for those of us who have all of her books before they got popular and have bought themas soon as they came out (for the new stories included in the books). It is not the author’s decision to repackage a book or a series but the publisher’s. The books have been around for almost 10 years now so some would say that it was time for a change. The publisher wants to sell more books with the new covers and reach even more fans. I totally get that it’s frustrating because you don’t have the extra content in your old editions, but the American fans could go to Barnes & Noble, other book stores or a library to at least look at the bonus content whereas international fans who also read the books in English, myself included, wouldn’t be able to do that. The link isn’t working for me. I’ve edited the post and added a regular link. Try a different browser if it still doesn’t work and maybe contact Barnes & Noble? I live in Germany and I had no problem pre-ordering the book! The international shipping is $12.98 which is around GBP 8.40. When packing for my move to Wales, I had to be select in what I could bring as my life had to fit into a suitcase. Of course books *had* to be in there and I could not bare to leave without my well-loved copy of City of Bones. Which brings me to this post … I am dying to get my hands on a copy of this collectors edition!! They won’t be signed ? Reblogged this on The Mortal Devices. I went to Firefox and entered City of Bones Collector’s Edition at Barnes & Noble in the search bar. Then I got a weird message from something called Page Speed Monitor that the B & N site was blocked. Oooookay! I went to the B & N homepage, entered City of Bones Collector’s Edition and was taken to the page. It will be available in paperback and as a NOOK book too. Since I’m overloaded with hold-in-your-hand books, I may get the NOOK version if it has the extra content. Anyone in the United States can download the NOOK app and read books on their tablet or laptop. I hope that’s possible for fans overseas too. As far as I know from Cassie’s tumblr posts, the extra content (= Jace’s POV) will only be in the hardcover edition. When you look at the NOOK and the paperback versions, they both have the old cover and can be purchased immediately so it seems likely that only the Collector’s Edition and the repackaged editions will have some extra content (maps and a foreword). So…Just City of Bones is going to have the hardcover version with the new illustrations, the rest of the TMI series is going to be paperback with new illustrations, did i get that right? And, is it just me, or anybody else thinks it’s nonsense the nook version doesn’t have Jace’s POV and the foreword? The maps part is comprehensible since those are pictures, but the rest is plain text, right? Other editions: paperbacks with new covers and spine art, a map and forewords. Is the collectors edition only going to be offered from Barnes and Nobles? If the “extras’ are only in the hardcover, I think I’ll invest my $s in Tales from the Shadowhunter Academy. 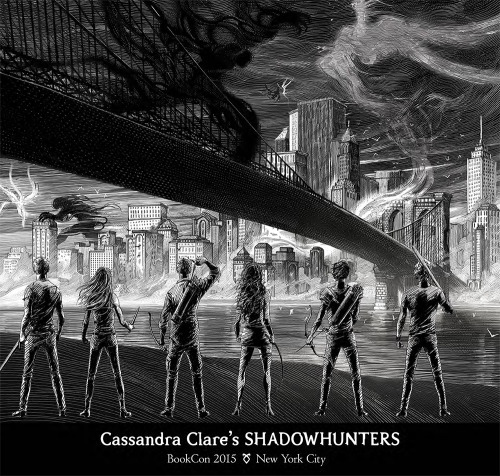 Every single paperback with a new cover will have extras: there’s going to be a map of Clary’s New York and a foreword. The Collector’s Edition will have more extras; like it says in the article. I bought the hard cover edition, and it didn’t give me a poster or map. Only a chapter of Jace’s POV. Will the rest of the series be offered on hardcover? Will TDA match old or new covers? TLH match old or new? 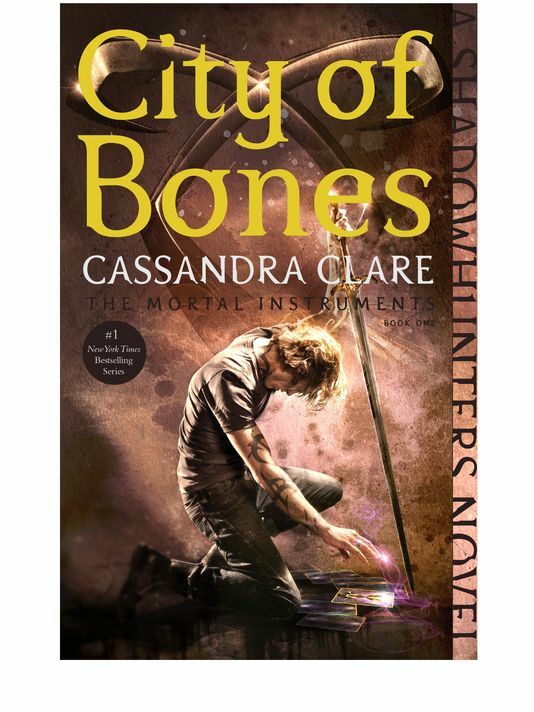 Don’t get me wrong, I love to new covers and know why they updated them– but why is only City of Bones in hardcover? Hardcover edition every year? This is very confusing..
1. Did you buy the Barnes & Noble Collector’s Edition? If you did and don’t have the map and the poster in the back then I’d go back to the store and complain. 2. No, the rest of the series won’t be in hardcover, they’re all paperbacks. The City of Bones hardcover with the new cover is an exclusive Barnes & Noble edition. 3. The Dark Artifices will be a mix of both. Look at the Lady Midnight cover here. No idea about The Last Hours since we don’t even have a release date for book 1. I’m having the same problem! I don’t want to buy the other 2 in paper back. What do you mean? Can you get the new covers in hardback for the first four books?